A pretty special jewelry collaboration just hit our site, and I’m here to introduce you all to the talent behind Phyllis+ Rosie Jewelry. Alana Blank found herself unhappy in the corporate world. She wasn’t finding enough time to creatively express herself, so back to the drawing board it was. Literally. After having spent her childhood creating hundreds of friendship bracelets and sewing here and there, she realized she needed that happy fulfillment back in her life. 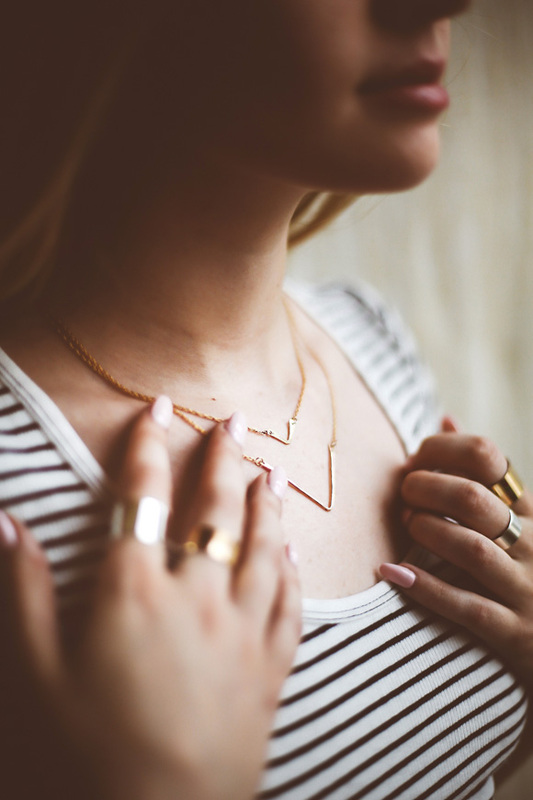 Jewelry design was always something she dabbled in, but it wasn’t until friends started asking to buy pieces from her that she realized this could turn into a full time business. Well, that’s what happened, and Phyllis+Rosie Jewelry was birthed. Below is her story, and for anyone who’s ever had the slightest inclination to start a business of their own, I suggest you take a read. 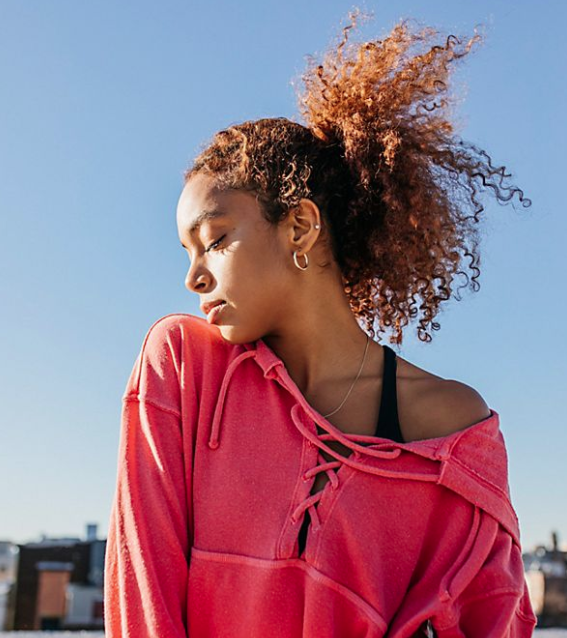 Here’s a look into Alana Blanks’s world and a preview of some of the pieces that just hit our site! Where did you grow up? How has this shaped the person that you are today? I grew up in Merrick, New York, which is a town on Long Island. In high school, I was always doing something after school, whether it was basketball or lacrosse practice, going to the thrift store to find the perfect vintage t-shirts with my friends, or biking down to the beach in the spring and fall. I always loved being outside and active and growing up in the suburbs helped shape that — it was a great place for me to feel connected to the outdoors and my own creativity. Where do you currently live? Can you tell us a little bit about your neighborhood? I live in Gramercy in New York City, and have been living in this area for about 5 years now. It’s a melting pot of all different types of people of different ages and cultures. What I love about the area is its proximity to great restaurants, shopping and parks. It is centrally located, so any other cool NYC neighborhood is just a short subway ride or walk away. What does a typical day in the life of Alana look like? No day is ever the same in start-up land. Some days I am designing new pieces or exclusives for Free People :) Other days I am running around the city handling the production and manufacturing aspects of our business. Rachel (my business partner) and I are constantly discussing ways to elevate, evolve and grow the brand to the next level, whether that is through design, co-branded events or connecting to customers in new and exciting ways. Did you always dream of becoming a jewelry designer? I always loved designing — period. After school, when I wasn’t outside being active, I would come home and just create. I would listen to music and either paint, cut + sew vintage t-shirts, or make friendship bracelets for hours. Later in life, designing became more than just a hobby — I began focusing my time on designing jewelry specifically, and when friends and family began asking to purchase it from me, I realized I had the beginnings of a business. 1000 friendship bracelets later, and after a lot of encouragement from my loved ones, I took a leap of faith and realized that this is what I was meant to do. It was time to turn my passion into a career. How did Phyllis+ Rosie come to be? After college, I landed a great corporate job, but found myself to be truly unhappy and unfulfilled. This is when designing really began to take off for me. I spent all of my free time learning new processes and techniques to design, and decided that in order to be truly happy, this had to become my job. I thought back to my early childhood and remembered how much I loved being creative and wanted to get back to my roots. I began designing jewelry again and PHYLLIS + ROSIE was born. Where does the name stem from? Jewelry has always been an important and essential part of my wardrobe. I would always wear jewelry passed down from my Grandma Phyllis and Aunt Rosie which was not only beautiful and unique but also bared sentimental value to me. Once I started designing and wearing my own line, most of their pieces went back in my jewelry box, but I wanted to represent them and thank them in a way for being meaningful women in my life and for inspiring my love of jewelry. What was the main inspiration behind the current line? My main inspiration behind the current line was to create basics with a bit of edge that I wanted to (selfishly) wear myself but couldn’t find in the market. I wanted pieces that could be worn alone or layered, and pieces that could easily transition from day to night. 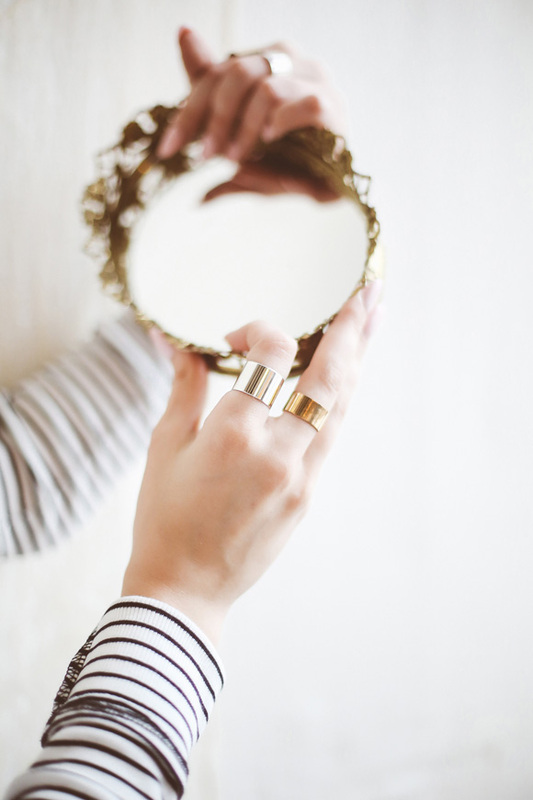 What are three key things a jewelry designer can’t live without? I don’t know about all jewelry designers, but these are my must-haves: a massive, carry-all, worn-in leather bag to carry tons of materials and my laptop, Fresh “Sugar” lip balm with a pop of color for on-the-go meetings, and a notebook and pencil to jot down new design ideas. 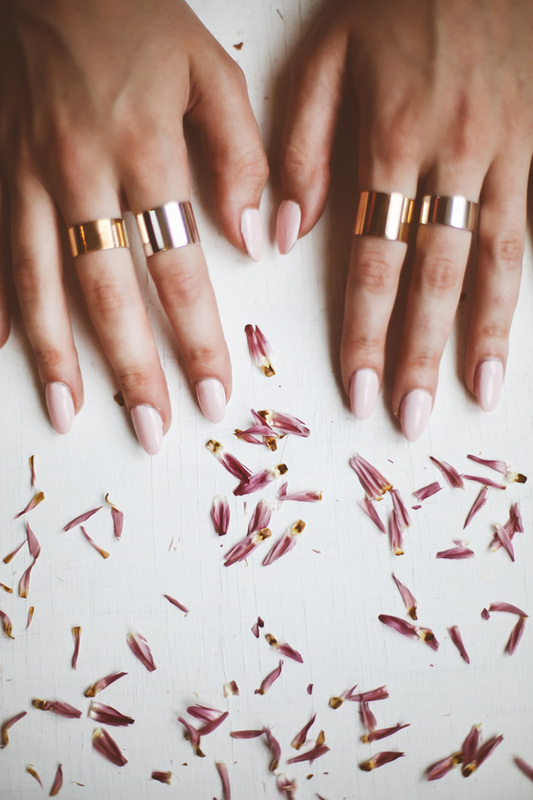 If you weren’t a jewelry designer, what other career could you see yourself having? I used to be an Elementary School Teacher and I loved my students! It was creative in a different way and I always came home with the best stories and met wonderful kids. I also have a passion for cooking and being active, and living a healthy lifestyle is a big part of who I am. I could see myself doing something in that arena. What does being ‘free’mean to you?? Being free to me means being able to follow my dream and passion. Not everyone in this world has the opportunity to pursue their passion and I feel extremely fortunate to be able to wake up and do what I love every day. 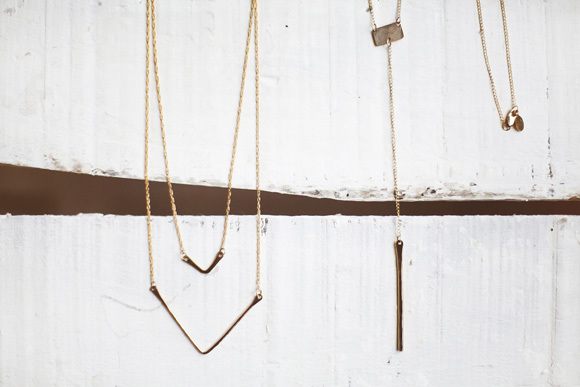 Shop Phyllis + Rosie Jewelry on Free People. 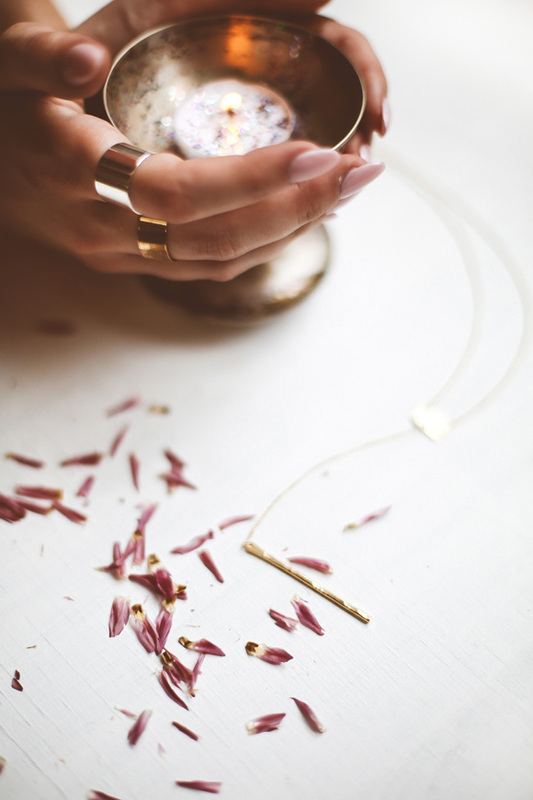 Follow Phyllis + Rosie Jewelry on Instagram! Such a gorgeous girl – and I adore her manicure! I love that her designs are so simple and profound. Thanks Alexandra! So sweet of you to say. It always makes me somehow happy inside seeing people who got their right way in life. What lovely and intricate creations! Wow! The photography complements the works so well! I love this story, makes my heart throb! First of all congrats Alana, your style is awesome! I’m in the process of trying to escape my sad science career and let my jewelry business take flight! So rewarding when all of the hard work pays off! Yes, Jewelry is an important and essential part and the jewelry shared by you is adorable and simple.